Andhra Pradesh cabinet has approved the allotment of 15,091 houses in 2018-19 under Pradhan Mantri Awas Yojana (PMAY) - NTR (Urban) Nagar scheme. In a cabinet meeting held on Thursday afternoon at the state secretariat, it was also decided that if the houses allotted in rural areas of the state from 1993-94 to 2006-07 are in dilapidated condition, they will be allotted new houses under NTR rural housing program with some conditions. The state government also decided to pay dearness allowance at the revised rates to the state government employees and pensioners. The revised rates will be applicable from 7.1.2017 and will cost Rs 627crores to the state exchequer. A draft bill to set up AP maritime board, for development of seaports in the state and to look after their administration was also approved along with the proposal of revising exclusive limits of Kriahnapatnam port. The cabinet also sanctioned the proposal to revise the terms and conditions of earlier agreement to get a credit of Rs 1385 crores from open market for development of Machilipatnam deepwater port and industrial corridor thereof. It also decided to give one-year subsidy of Rs. 2 per unit in power tariff to the aqua farmers with effect from 1st of August. The subsidy is expected to benefit 94,913 farmers. To further boost the education sector in the state, the cabinet also gave a nod to making "International Institute of Digital Technologies" as section 8 company and allocating 97.5 crores for next 2 years for investment and investment expense. 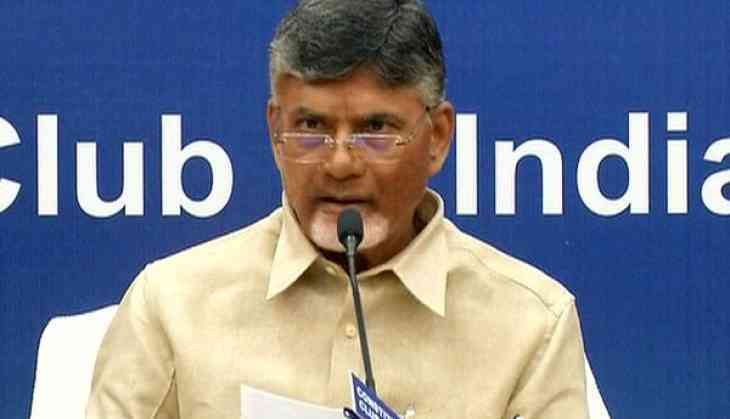 Rangaraya Medical College, Kakinada was also allotted a paediatrics section and it was decided that Andhra Pradesh Medical and Dental Institutions will be given semi-autonomous status. The NTR Cancer Care Project to be set up with Tata Trust was also granted approval. During the meeting, the government also announced that an unemployment allowance scheme will be launched on September, 14 and list of beneficiaries will be finalized by October 2. Cabinet also decided to set up an Arya Vysya Welfare and Development Corporation for giving loans to the Vysya community for self-employment, financial aid and foreign education. Time limit for exporting red sanders to Patanjali Ayurved was also extended for three more months.